Learning is has been part of my life’s journey- I have been learning since the day I was born. Often I didn’t even realise that I was learning because I equated learning mostly with school. Until I started thinking about this topic, I wasn’t conscious about how much I have learnt and continue to learn on a daily basis. how to pay bills and manage my money when I moved out of home. I’m interested in giving my students a voice in the classroom- so I read anything I can on that topic. I’ve become the English Learning Leader so I’m constantly learning on the job and finding PD to help me. I’m doing a year long Leadership course because I want to be an effective leader. My students love sharing information about themselves and what they read which allows me to learn more about them. I love dancing so I took ballroom dance lessons and learnt new dances. At times throughout my life, I was learning just to get by. However I’ve realised that when I’m passionate about something, that’s when my learning is the strongest. It’s been years since I was a student myself, but as a teacher I’ve realised that in some ways I’m still a learner. Every day I learn something new and often don’t realise it. Whether it is learning to dance or learning about my students, if I’m passionate about something then I will learn. I don’t want to stop this learning journey because there is still so much I want to know and do. So what motivates me to learn? Being passionate about something. 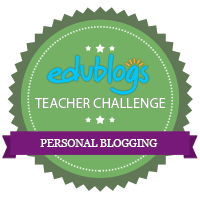 This entry was posted in Connected Educators, Leadership, Learning, Professional Development, Teaching, Technology and tagged AITSL 6.1, AITSL 6.2, AITSL 6.3, AITSL 6.4, YourEduStory.